Just in time to ring in the new year, one of the world’s largest and most prestigious dog shows, the AKC National Championship Presented by Royal Canin, returns to Animal Planet as a four-hour special on Monday, Jan. 1, 2019 at 6 p.m. ET/PT. An encore of the special will air two hours following the conclusion of the premiere beginning at midnight, and it will also be available in its entirety on Animal Planet GO. The AKC National Championship Presented by Royal Canin will feature thousands of dogs from around the world competing for various titles across multiple events and more than $150,000 in prize money, the largest in the world of dog shows. Audiences will see highlights from each competition category, including agility and dock diving, and the show will culminate with the highly anticipated Best in Show. 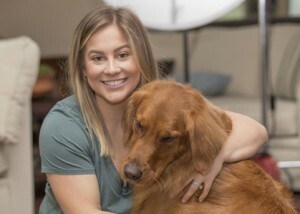 “Animal Planet is thrilled to once again premiere the AKC National Championship Dog Show Presented by Royal Canin on New Year’s Day, which will allow our audiences across numerous screens and platforms the opportunity to start 2019 with the nation’s most beloved dog breeds and top competitors,” said Erin Wanner, Senior Vice President of Production, Animal Planet. Dog lovers are invited to show their #TeamDog spirit by posting a photo of their dog to Facebook, Instagram or Twitter, tag Royal Canin and share which #TeamDog they’re cheering for – all for a chance to have their dog’s photo featured in this year’s TV special. This year’s AKC National Championship is the largest dog show in North America with more than 5,000 dogs competing, from 49 states and 21 countries. “Year after year, we attract thousands of the top canine competitors from around the world as they compete from each of the seven groups to become the National Champion,” said Dennis Sprung, Show Chairman, and President and CEO of the AKC. “The American Kennel Club is thrilled Animal Planet will once again televise our signature event, where breed enthusiasts across the country can witness the crowning of our new National Champion. Royal Canin engaged noted music producer and composer John Sands to create a musical score specifically for the AKC National Championship. Additionally, he and his co-writer Wayne Sharpe composed separate arrangements of that score to reflect the personalities of the breeds in each group. This a first in dog competition history and these arrangements will debut as each group enters the ring. Sportscasters Russ Thaler and Sam Ryan will spearhead the broadcast team, along with expert analysis from AKC Executive Secretary Gina DiNardo. B Productions will once again produce the TV broadcast and livestream. This year’s show will again include the Eukanuba brand, which helped the AKC create the event in 2001. Eukanuba will serve as the sponsor of the companion events – obedience, agility, rally and dock diving, which will include a world record attempt for longest jump. For the first time, the AKC National Championship welcomes TropiClean Pet Products, a leading manufacturer of pet, grooming and oral care products, and WeatherTech, a leader in vehicle accessories, as sponsors of the broadcast. For more information please visit www.akc.org/nationalchampionship. Posted by chesliepickett on Nov 28 2018. Filed under Featured, The Buzz. You can follow any responses to this entry through the RSS 2.0. Both comments and pings are currently closed.